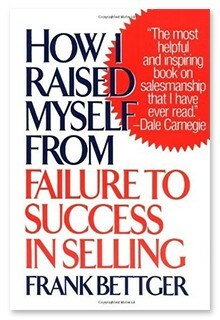 I learned this secret from reading ‘How I raised myself from Failure to Success in Selling ‘written by one of the greatest salespeople who ever lived, the legendary life insurance salesman Frank Bettger (rhymes with catcher). Bettger discovered this strategy on his vacation, while standing on the deck of a ship about to dock in Miami. 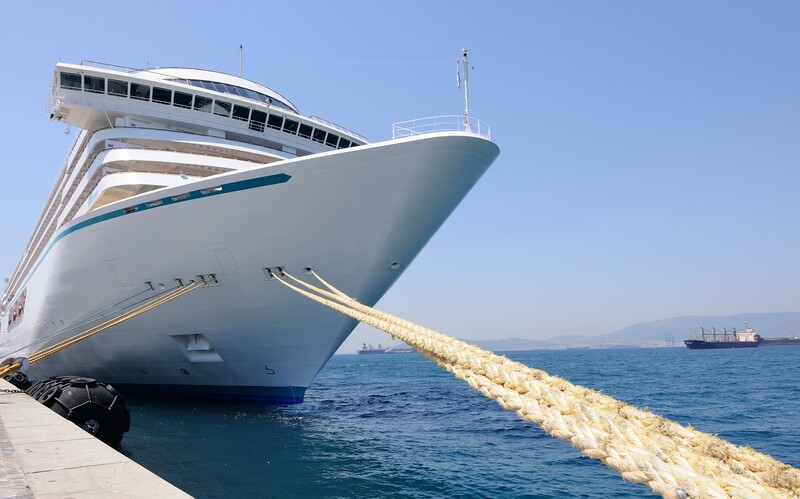 Bettger noticed that the ropes needed to moor a great ship to the dock are tremendous. They are very long and as thick as a man’s thigh. He wondered how any seaman, no matter how strong, could ever lift such a thick rope, let alone hurl it so that it would reach the pier. He discovered that the crew doesn’t even try to throw the heavy rope, known as a ‘hawser.’ Instead, he saw a solitary crewman hurl a little iron ball, called a ‘monkey’s fist,’ which was attached to a thin rope about the size of a clothes line. He tossed this monkey’s fist to a longshoreman standing on the pier, waiting to receive it. When the longshoreman caught the little iron ball, he started to haul in the thin rope attached to it. This thin rope, in turn, was attached to the huge hawser, which Bettger then saw moving through the water as the fellow on the dock hauled it in. And that’s how the big, unwieldy hawser gets tied to the moorings on the pier. Throwing the hawser was too big a first step for any sailor, just as it’s too big a first step for any marketer to approach ice-cold prospects and instantly persuade them to buy. So this is the little-known but amazingly reliable formula for opening — and then closing — many, many more sales. Make the first step for your prospect irresistibly easy to take. This means that whether you’re selling in the mail, on the Net or in space, you shouldn’t start off trying to sell your product. Break it into smaller steps. As a first step, offer something that makes it easy, irresistibly easy, for your prospect to say yes. Claude Hopkins, the Aristotle of advertising, described how in the early days of the twentieth century, door-to-door salesmen would go through a neighborhood, knocking on doors, to sell coffee. Sounds like a tough way to make a living, doesn’t it? Imagine how many doors would be slammed in your face by the end of the day? After experimenting with many different presentations, the coffee marketers found an incredibly easy and effective way to sell. The salesman would knock on the door. When it was opened, usually by the woman of the house, the salesman (almost all salespeople were men in those days) would NOT launch into a sales pitch about coffee. Next week, he’d return and, instead of asking for an order, would surprise her with another gift, which could be hers free if she placed her first order. Making the sale in this way was so easy, because the salesman made the first step easy. He completely bypassed the automatic rejection he would surely get if he tried to strong-arm prospects with a hyped up -sales pitch. As Hopkins put it, “Any apparent effort to sell creates corresponding resistance.” Therefore, do NOT approach your prospects, either in person or in print, with an obvious effort to sell. There are countless ways you can achieve this gentle, seductive first step in your marketing. The free sample of the actual product is one way. A magalog or direct mail letter that reveals interesting, valuable information right in the copy is another. A free checkup, audit, analysis, first lesson, consultation, etc., are yet more. So is an enclosed quiz or treasure hunt or free informational guide on a topic of high interest to your prospects. I have found that offering valuable, free information that targets your prime prospects is the most versatile, economical and usually most effective execution of this strategy. It works so well because it not only makes it much easier to open the sale with your best prospects, but also sets you up perfectly to close it. All these examples ‘throw the monkey’s fist’ — they make it much easier for your prospects to lower their guard, give you their time and allow you into their busy lives. This is how you make the sale before the sale.